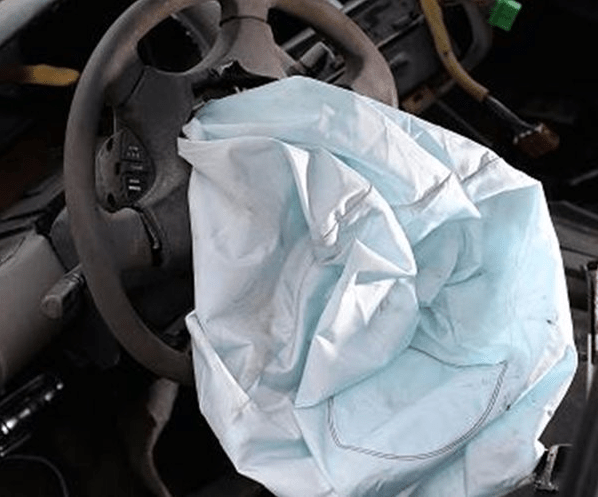 Vehicle owners, victims and families of victims are suing five different auto manufacturers claiming they knew about the faulty airbags but installed them anyway in the name of saving a buck. These include Toyota, Ford, BMW, Nissan and Honda. Meanwhile, the OEM’s (Original Equipment Manufacturers) state they knew nothing about the lethal airbags due to Takata providing falsified reports and test results. While we may never know the truth (unless damning emails can be dug up, which is always a distinct possibility nowadays), I have to wonder why the OEM’s never tested the airbags themselves. When it comes to something as important as crash mitigation, I would think these systems would be tested regularly. This reminds me of military command structure, particularly in the Navy. If a lowly crewman does something wrong, the captain of the ship is ultimately responsible. I realize car manufacturers and the military are apples and oranges but shouldn’t the car makers bear some responsibility? Let’s look at this another way: Let’s say you buy a Samsung TV and it blows up while you’re watching it, sending shrapnel into your eye. It turns out the power supply for the TV, manufactured by a third party, was the culprit. Who do you sue? Do you go after Samsung? Aren’t they responsible for what goes into their products? Or do you sue the power supply company? Or both? Another example is when third-party software crashes your computer. Who do you blame? The computer manufacturer? Microsoft for making a shoddy operating system? Or the software developer? I could go on all day with other examples but the point here is that it is a very grey area. Like 50 shades of it. Ultimately, it’s likely the auto manufacturers will settle out of court and the plaintiffs will get a payday. Meanwhile, no one from Takata is being held criminally responsible yet Volkswagen execs are being thrown in jail, and no one died in the VW emissions scandal. Has anyone in recent history actually outrun the police during a chase? This video is yet more proof that trying to flee from the 5-0 is fruitless. However, it does provide some very entertaining footage. That is some serious airtime!